When looking at publicist Kiki Ayers, the last thing you would suspect is that she overcame homelessness, not once, but twice. This first generation college graduate of Howard University is a force to be reckoned with. Her hard work and determination earned her a career in Hollywood as an entertainment reporter. She has interviewed the likes of Kevin Hart, Will Ferrell, Ben Affleck, Nas, Jamie Foxx, Queen Latifah, and more. While this accomplishment seems like the definition of ultimate success, she is not stopping there. With her connections in media, she was inspired to take a chance and start her very own public relations firm, Ayers Publicity. 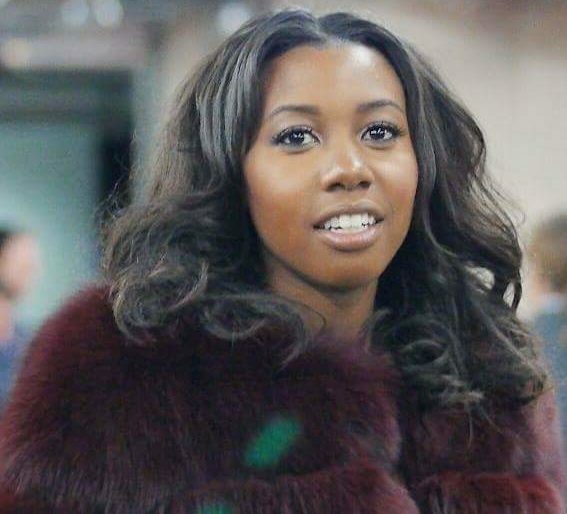 She started the company a little over a year ago after Russell Simmons’ All Def Digital brought her on board to lead PR for their first movie, Major Deal. She officially got her L.L.C. and signed clients—including All Def Digital, Ellae Lisque, Haha Davis, DJ Duffey from Basketball Wives, Cash Money artist Sy Ari Da Kid, YouTube star “Megz,” and comedic actor Juhahn Jones—this February. 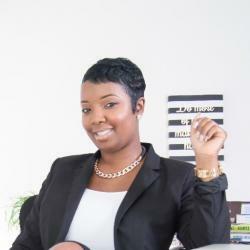 Black Enterprise caught up with Ayers to learn more about her career journey to becoming a publicist and her most recent chapter involving business ownership. What education and experience did you need to prepare you for your public relations career? I didn’t go to school for PR; I went for journalism. I’m a self-taught PR professional. I learned everything 100% hands-on. As a journalist, the main people I work with are publicists so I learned by watching them. I learned how to draft a press release by reading over the 1,000 that have come through my email inbox. I learned how to get press on red carpets by reporting on hundreds of red carpets. Being a journalist in addition to a publicist gives me a huge advantage because I don’t have to work hard to build “connections” with media. My best friends are all also journalists and reporters. It wasn’t until I started utilizing the people closest to me that I realized how much support I have. The range of publications is amazing too. I have friends at publications like The Shade Room and Complex and then I have friends at Forbes and Entertainment Tonight. Were public relations always a part of your career plan? Not intentionally. I recently realized for years I’ve been doing PR for friends but I wasn’t thinking of it as PR. I was thinking of it as genuinely helping my friends. 2016 was the hardest year for me because it’s when I made the transition from corporate to independent. Everything I feared happened. I told myself I would never be homeless again and in 2016 that happened. I told myself I would never be broke again and through all of 2016 that happened. If you were to ask me a year ago if I planned on starting a PR company, I would have definitely said no only because it wasn’t in the vision and it wasn’t something I thought I could do. How do you set yourself apart in such a competitive industry? By focusing on quality, not quantity. I get literally hundreds of client requests every day but I don’t want to work with just anyone. I care about character and work ethic. Followers, fame, and money can go just as easily as it came. I look for people with star quality and help them get into publications on their wish list all in the first month. I take the time to pitch everyone differently, and each pitch is catered to the publication I’m pitching to. A huge part of that is taking time to research the publication you’re pitching to. I spend hours on hours pitching clients. I really put in the work to take them to new levels. I never want to take someone’s money unless I know I can do something for them. A lot of people tell me horror stories about PR all the time. I want every client to feel secure about having a publicist. What advice would you give to others who are interested in a career in the public relations industry? The best advice I can give is just to start. A lot of people won’t take that first step because of fear. There [are] so many days I want to quit but then something amazing happens. It’s definitely an industry that doesn’t work unless you do. The biggest misconception is that you can only learn in a classroom. You can learn through Google, by being hands-on, and by researching but you can’t learn until you start. What’s next for Kiki Ayers and Ayers Publicity? More speaking engagements, bigger clients, and making dreams come true for current clients. I’m trying to spread the word as much as possible about my entrepreneurial journey. I’m on my way to making my first million by 2020.